What if your needs analysis is only scraping the surface? It may be effective in capturing a detailed list of product requirements and functional specifications, but that is not enough. Too often the buyer’s more fundamental underlying motivations remain hidden. In this insight we will explore sellers can boost success by tapping into the hidden agenda of their customers and prospects. Why Stated Requirements Are NOT Enough! A clear definition of requirements is an essential element of good buying, just as it is a part of good selling. But is a clear technical or functional specification enough to fully understand the buyer’s needs? The answer is ‘probably not!` They describe in detail what the buyer wants, but in much less detail why it is wanted. How well do you understand your customer’s agenda? The buyer has an agenda. However it is probably not what you think it is. The product or solution you are selling is not the customer’s agenda. It is only an expression of that agenda! That means connecting with what is really driving your customer is key your sales success. What’s Really Driving The Purchase? These drivers help the seller to understand the ‘why’ of the decision. They can be read about in corporate press releases and shareholder briefings. However, while these logical-rational drivers shed light on the decision, there are likely to be other factors that won’t be so easily discovered. 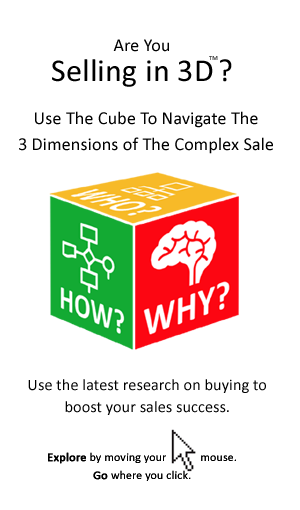 What Really Makes Your Buyer Tick? The prospect’s needs and requirements may have been defined and so too has the strategy. These can be explained logically and justified rationally either on paper, or in a spreadsheet. 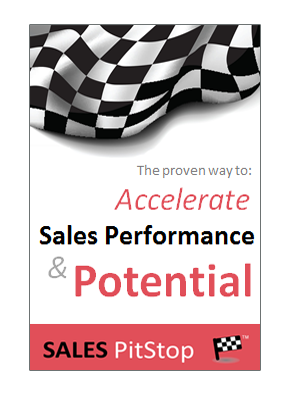 But is that enough to explain what really makes your customer tick? Do you know what really makes your customer tick? However cogently expressed the buyer’s needs and requirements may be, they are often only a poor guide to what is really motivating the decision. You have to go deeper to uncover the buyer’s more fundamental underlying motivations. That is because the fundamental driver of all human behavior is emotional and consequently can be hidden. As we examine on the next page it is not just about logic and analysis.